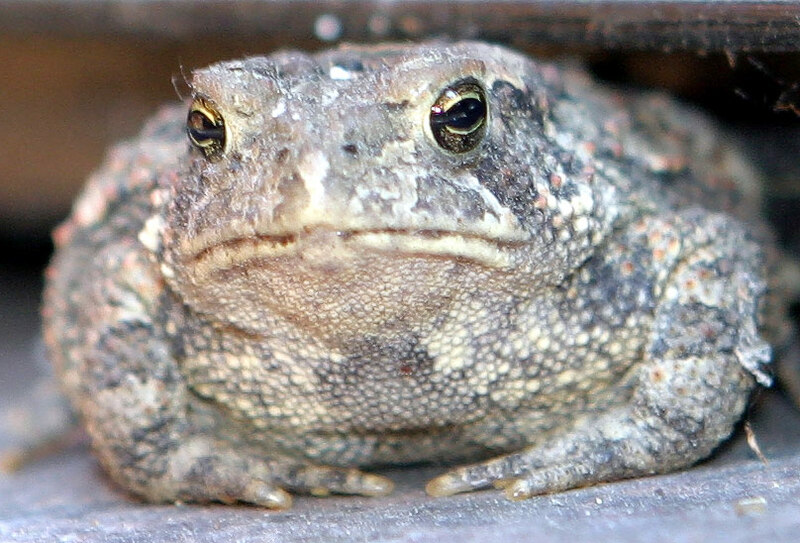 In his novel Beatrice and Virgil, Yann Martel refers to words as “…cold, muddy toads trying to understand sprites dancing in a field.” I believe that this metaphor, while unflattering, describes my experience with music quite accurately. There are plenty of quotes out there about how music is the soul of the universe — Plato — or how the Big Bang was really a “Big Chord” — Terry Pratchett. For people from every time, place, and culture music has always served as a link to the cosmos, to the eternal both inside and outside of ourselves. Faced with this, musical notes really do feel as an inadequate way of expressing something so astonishing — they are like cold, muddy toads trying to understand sprites dancing in a field. We deal with it constantly and for many musicians, including myself, it is a constant source of frustration that the notes we play are nowhere close to the music we feel and imagine. I suppose that for some composers this must have been torture. This isn’t frustrating only for performers; the hardest thing for me as a teacher is to give that enthusiasm to a student, that sense of awe about the works we play. We should be grateful for our notes though, those sounds we coax out of our instruments are really all we have. They’re our connection to the universe and, while the sound that results may seem ridiculously small compared to that, music isn’t really in the sounds that we make by blowing, hammering, scratching and making stuff vibrate. It resides in our imaginations, in our intentions when we play and in our reactions when we listen. Let’s try then to perform our musical notes with joy but to always go beyond them, lest we find that our notes are as cold, muddy toads croaking along with nothing to say. All of a sudden I get the urge to play a specific piece in recital. I may have practically no time for it — having to balance family, teaching, and learning the repertoire that I’m actually getting payed to play — but it’s an urge that is very hard to resist. There’s a hole inside of me that needs to be filled by what that particular piece of music is saying. 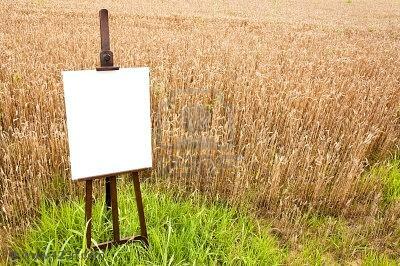 Like a blank space on the wall that is urging you to paint it, or cover it up with something. Most of the time, just sitting down in private and mucking around with the music is not enough; the urge to play it for an audience is overwhelming. I think that this need is what is behind art, a need to fill up holes within ourselves. At some point the composer also felt that urge to fill his own void with sound. That’s the closest I can come to explain how it feels; there may be no practical reason to play that recital, but there is something within that needs attention, a hole that may be making everything else come out of balance. The best part of the whole experience comes afterward, once you are playing and someone in the audience finds that what you are playing also fills a similar hole of their own. That is probably the greatest thing I can get out of a recital, not having it be “beautiful” or “well-played” but having it be something that helps fill a hole in my soul and does the same for someone else. We often lose sight of why we want to play. Are we even making music, or just going through the motions? We constantly have to work on maintaining our ability, the craft of playing an instrument. We are also stuck in the drudgery of having to think of the business side of things, looking for work and vehicles with which we can use our craft to create a living (that is, if we like things like having food in the fridge, and a roof above our heads.) We get bogged up thinking of perfection, and style, and whether a piece of music is suited to our particular capabilities, and how it will go over with an audience, and if it will sell. But playing just because we want to? Whatever we want to play? That’s a different story and, for some reason, we stop doing that. We need to find those moments, and embrace them. More importantly, we need to create those moments. 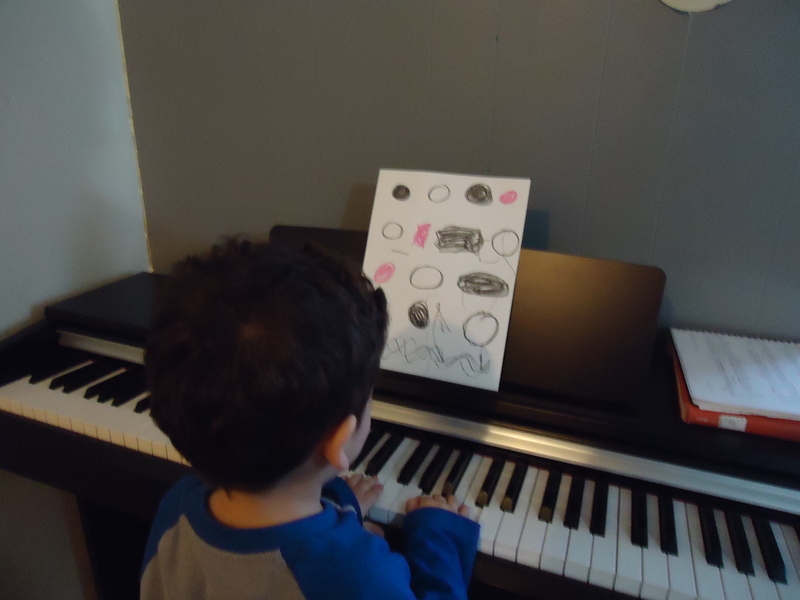 Once in a while, we need to put down the sheet music we are required to learn, find something we like and play it. Just for the joy of doing it. Because we can. It sounds so simple and yet, we forget how fulfilling it is to simply make music for no other reason than to make music. The physical, emotional and artistic satisfaction that we get from making music is something that we should never forget to nurture. It’s so easy to lose our way and forget this part of our artistic soul. Just play something you love. Doesn’t it feel amazing? The way our bodies interact with our instrument and the noise it makes. For a brief moment, losing ourselves in that sweet nonsense that is musical discourse, wrapping ourselves in the vibrations we make. Connecting with other people without saying a thing, just sharing a moment of music with an audience, or with other musicians. Once in a while, find your voice and make some music because you need it, because you want it. Get together with other people and make chamber music together, find a piece of music you really like and play the hell out of it in your living room, or just sit with your instrument and make some noise. Organize a concert, just for yourself and play music you really love. Write about music and don’t be afraid to share your passion with other musicians, even if it means sounding a bit ridiculous during rehearsals. Then, when you walk back into the business side of things, you know what it feels like to do what you do. To make music just because. Bullfighting and La Virgen de la Macarena. My house is right beside the city’s bullfighting ring. Today was the first corrida of the year, which meant an extremely noisy day at my home, there was a huge crowd cheering and Olé!-ing and a band playing La Virgen de la Macarena every few minutes for six straight hours. 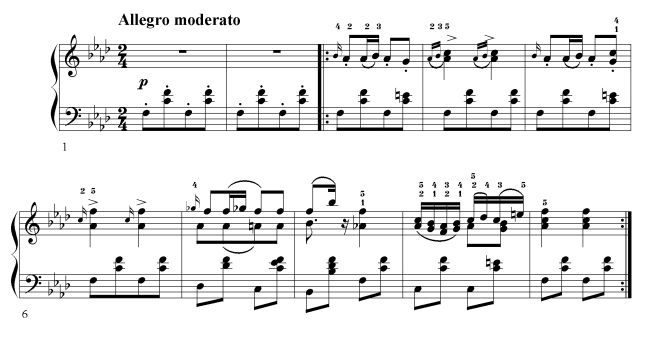 La Virgen de la Macarena is a very traditional pasodoble (a march-like dance in 2/4, usually in Phrygian mode –think of the theme from the second movement of the Concierto de Aranjuez if you’re having trouble picturing it.) La Virgen de la Macarena is the most popular pasodoble in Mexican bullfights, in many cases it’s the only one the band can play –which I think is the case with my local bullfighting ring because it’s all they played over and over. There are popular versions of this piece that heavily feature the trumpet, usually in some sort of virtuoso setting. I’ve only been to a couple of bullfights in my life and I’m pretty ambiguous about the whole thing. 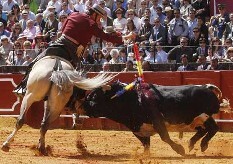 I expected something barbarous and cruel but instead I was fascinated with the complexity of the bullfighting ritual. There is art and passion in the dance of bullfighting, there is much of flamenco dancing in the elegance of the poses of the torero (the correct term is torero, the word toreador has no place anywhere except in Bizet’s opera.) 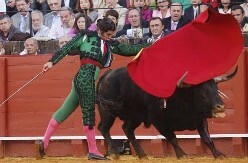 The observer’s point of view is what defines a bullfight. While one person sees a metaphor for the triumph of life over death, another sees a mob cheering while an animal is tortured and then slaughtered. Personally, the cruelty with which the bull was taunted and killed was pretty sickening. Even so, I can understand why people are passionate about bullfighting and, being an enthusiastic carnivore, I have no illusions about my place in the food chain. I don’t mind them killing bulls all day long, but I’d rather not watch. I’ll just listen.